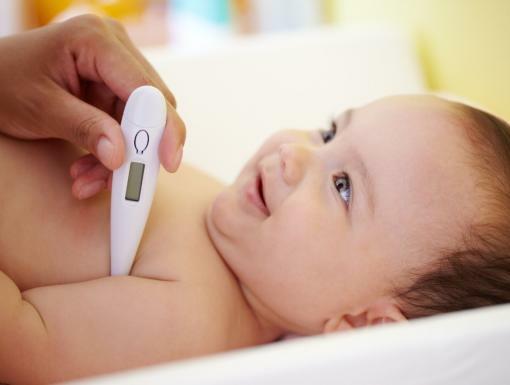 When your child feels under the weather, the first thing you reach for is often the traditional thermometer. The body temperature reading is a great first step for gauging illness, but what if this household staple could do more? Digital health company Kinsa took one of the most common health devices and reimagined it, connecting it to the smartphone. 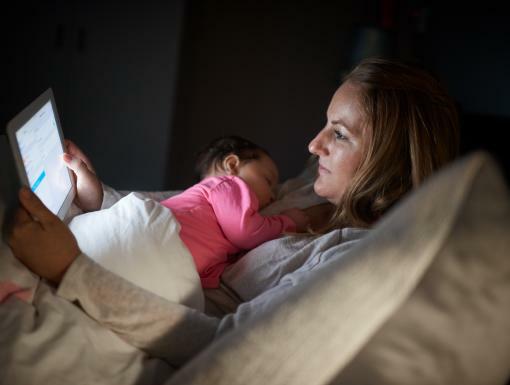 Kinsa smart thermometers are app-enabled thermometers that track fever, among other symptoms and influenza-like activity, in real time. 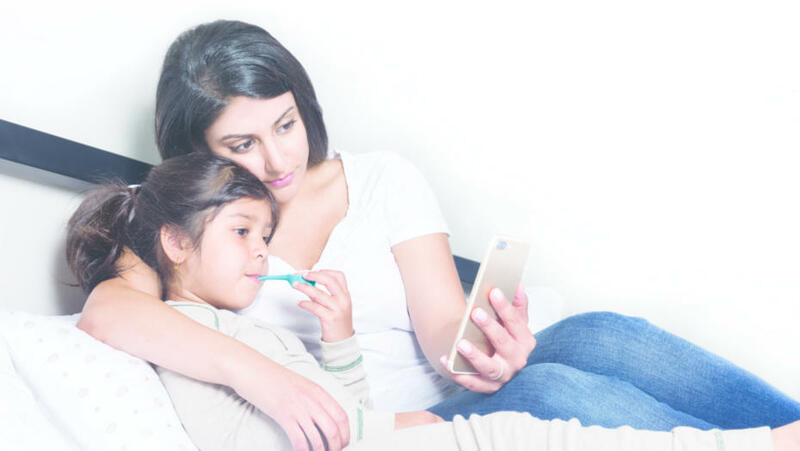 Beyond helping you understand illness within your own family, this device has an even larger benefit when used on a broader level in schools. When a flu outbreak hits a school, it often has a significant impact. Student and teacher sick days take a toll on families, cost districts millions in funding and negatively affect student achievement. Fortunately, the use of smart thermometers could help alleviate this. Kinsa has partnered with Ochsner Health System to sponsor the FLUency Program, a community health initiative that invites families and staff at several schools in the Greater New Orleans area to receive free Kinsa smart thermometers to aid in preventing illness and promote a healthier school year. FLUency keeps schools healthier by helping families and school staff detect and respond to spreading illnesses more quickly. The program connects school families through the Kinsa app, where they can find information about illnesses on the rise among their child’s classmates. The school is also able to share information through an administrator portal that provides healthy tips and health warnings so illnesses don’t turn into school-wide epidemics. What should I tell my doctor? Fevers, symptoms and medications are all tracked in the app. This information is stored and easy to share with your doctor. What should I do next? Real time, personalized guidance helps parents know when to call a doctor and what steps they should take to help their children get better. What's going around? Parents can learn what is circulating in their child's class so they can treat it quickly or avoid it in the first place. With Ochsner-sponsored Kinsa smart thermometers, parents at participating schools can download the app and join their child’s school group to see this anonymous, aggregated information on trending symptoms and illnesses. 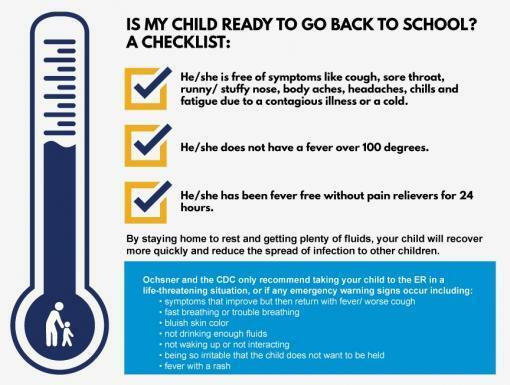 Parents can also speak directly to an Ochsner nurse through Ochsner On Call – a free 24/7 service that provides health education and advisory services if fever or symptoms are cause for concern. Click here to read more about participating schools and learn about getting involved.